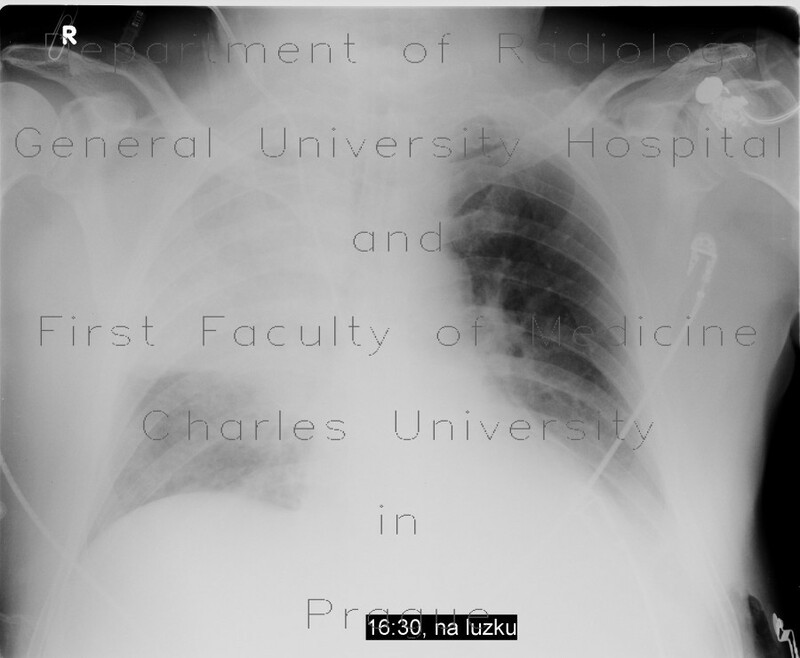 Patient after aspiration of gastric content developed large area of consolidation in the right upper lung lobe and seg. 6 of the right lower lung lobe. Note also acinar areas of ground-glass opacity with gravity-dependent gradient in the anterior segment of the right lung lobe due to edema. Last two radiographs shows increase of transparency with healing.